The Black Lacquer Japanese Miso Soup Bowl is a black plastic lacquer Japanese bowl for miso soup! Made in Japan with a rich scarlet red on the inside and black scalloped wood grain effect on the outside. Size: 300ml, 12cm diameter x 6cm deep / 5 x 2.5 inches. We recommend that you do not use in a dishwasher or microwave. Suitable for home or restaurant use, but essential for an authentic Japanese dinner party! Perfect for miso soup lovers, the Black Lacquer Japanese Miso Soup Bowl is a high gloss black plastic lacquer Japanese bowl used for miso soup, a delicious and very healthy staple food in Japan. Japanese lacquerware is prized because it contains the highest proportion of urushi or tree sap which gives Japanese lacquer its coveted qualities. 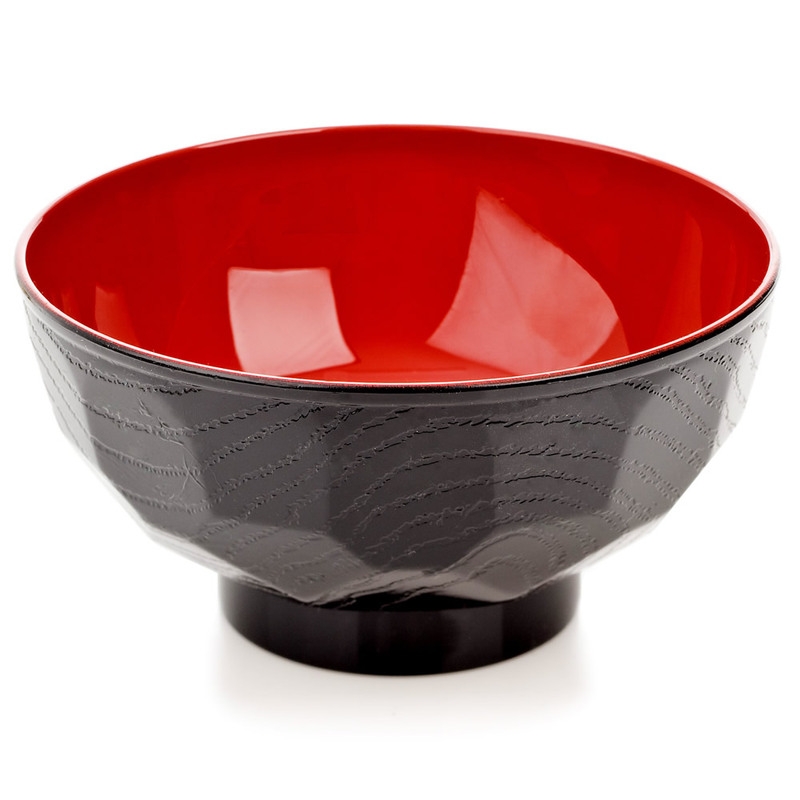 Made in Japan this traditional Japanese lacquer bowl has a rich scarlet red on the inside and black scalloped wood grain effect on the outside. Whilst suitable for home or restaurant use we recommend that you do not use in a dishwasher or microwave. 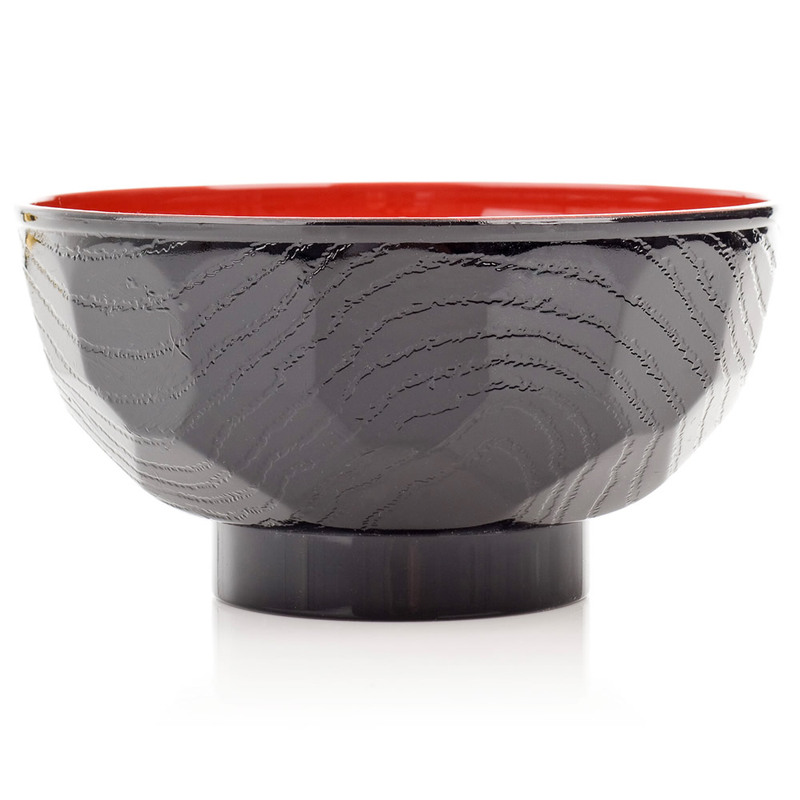 The Black Lacquer Japanese Miso Soup Bowl is essential for an authentic Japanese dinner party! 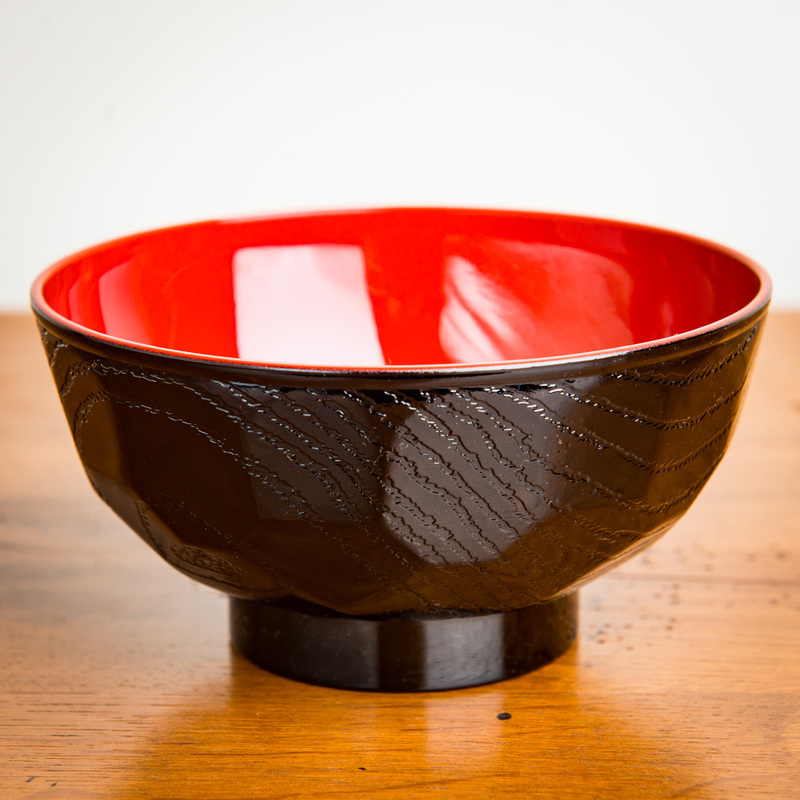 Order your Black Lacquer Japanese Miso Soup Bowls online today and have them gift wrapped free of charge, or visit our showroom for this and many more authentic Japanese lacquer bowls! Our order (including Black Lacquer Japanese Miso Soup Bowl) arrived today, speedily despatched and looking beautiful as it is all gift wrapped. Certainly consistent with the high standards set in Japan! Thank you for being there to remind us of that wonderful country this Christmas. Best wishes. Excellent bowls and well received.